Nature: The tourism complex Beklemeto, is situated in one of the most beautiful parts of the National park central Balkan, just 20 km away from Troyan along the Troyan – Karnare pass. Toursim and vacation: Numerous hotels and holiday homes offer great conditions for vacation and holidays in the tourism complex. Beklemto offers numerous winter and summer tracking trails, to the west to Kozya stena, Haidushka pesen, Echo and Vezhen peak. The best biathlon and cross country skiing for 2,3,5,7 and 10 km is situated in Beklemeto. The three pistes are equipped with drag lifts and correspond to all requirements for alpine skiing. 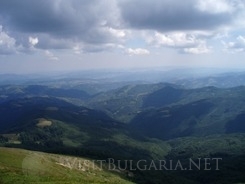 Transport: There is a good road connection through the Troyan pass, with southern Bulgaria. Sofia is situated just 160 km away from the resort.